An Air Force Test Center C-17 manned by an Edwards crew launches a second target, an extended Medium Range Ballistic Missile, into a debris field created by the THAAD weapon system, which intercepted and destroyed a Short Range Air Launch Target. 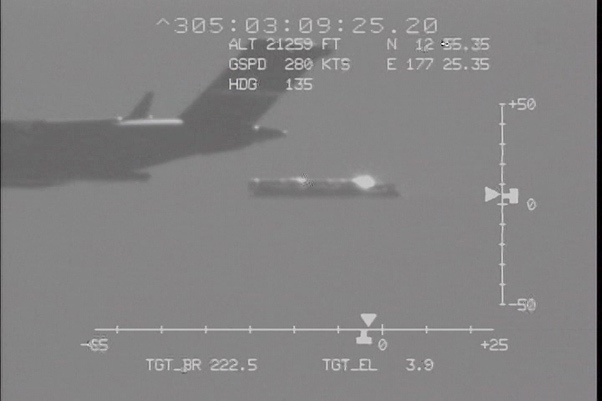 One important aspect of the test event was to demonstrate that Aegis Ballistic Missile Defense was able to detect a target inside of a debris field. Over the summer, the Air Force Test Center sent a C-17 with air and maintenance crews from Edwards to Hawaii, but it was no vacation. The crews worked 24-hour shifts for several months to support a Missile Defense Agency test of the Ballistic Missile Defense System over the western Pacific Ocean. “High altitude, heavy weight airdrop is something we’re doing a lot of here at Edwards, supporting not only MDA, but NASA with the Orion capsule drops that we’ve been doing out at Yuma,” said Capt. Stephen Koether, 418th Flight Test Squadron, C-17 experimental test pilot. The airdrop supported MDA’s Ballistic Missile Defense System designed to negate ballistic missile threats. Specifically, this was an operational test of the THAAD weapon system located on Wake Island and the Aegis Ballistic Missile Defense from the Navy’s USS John Paul Jones guided missile destroyer. After three months of preparation and multiple delays, the test, designated “Flight Test Operational-02 Event 2a,” was successfully executed Oct. 31. Southeast of Wake Island, a C-17 supplied by Air Mobility Command launched a Short Range Air Launch Target (SRALT) over the Pacific Ocean that was detected and intercepted by the THAAD weapon system from Wake Island. As the AMC C-17 turned towards home, the AFTC C-17 manned by an Edwards crew, launched a second target, an extended Medium Range Ballistic Missile (eMRBM) into the debris field created by the THAAD weapon system,which intercepted and destroyed the SRALT. One important aspect of the test event was to demonstrate that Aegis BMD was able to detect a target inside of a debris field. Aegis BMD detected and tracked the eMRBM with its radar from the USS John Paul Jones while simultaneously engaging a BQM-74E air-breathing target with a Standard Missile-2 Block IIIA guided missile. The USS John Paul Jones successfully launched a Standard Missile-3 Block IB Threat Upgrade guided missile, but an anomaly early in its flight prevented a midcourse intercept. 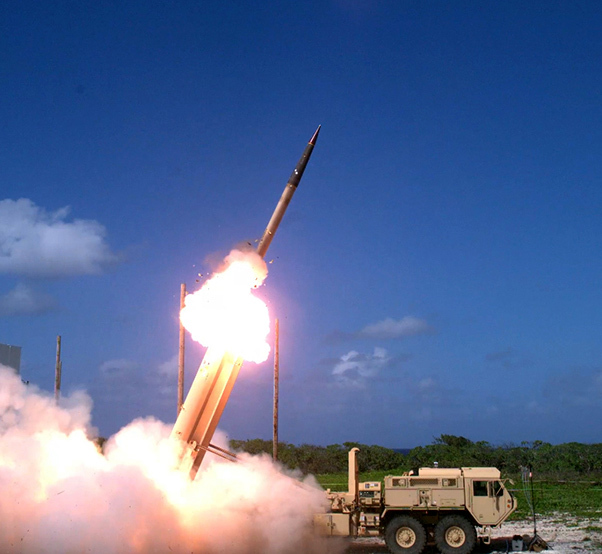 The THAAD weapon system, which had also been tracking the eMRBM in a terminal defense role, acquired and successfully intercepted the target. A THAAD weapon system fires from Wake Island in the Pacific Ocean Oct. 31, 2015. Edwards personnel helped support the test conducted by the Missile Defense Agency’s Ballistic Missile Defense System, which is designed to negate ballistic missile threats. “A test this complex, with multiple dynamic players, made the final moments of the countdown very intense for all parties involved,” said Ris. 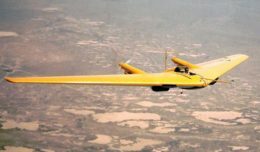 In addition to the precise timing, the high-altitude drop was done from just below 25,000 feet requiring the crew to breathe 100% oxygen for the duration of the inflight build-up to the drop itself. The eMRBM was extracted from the AFTC C-17 using an experimental carriage extraction system to pull it out of the aircraft. The non-standard rigging is used to mitigate the issues associated with high altitude airdrop and launch the missile in the safest, most efficient way possible. The missile went up into space and came back down. Koether added that due to the highly complex nature of the test, coordination was at times challenging. There were personnel from the MDA, Air Force, Navy, Army and contractors all working at different locations across the Pacific Ocean. Each C-17 was paired with a P-3 Orion chase plane for photo support and a KC-135 for aerial refueling. Below them, a ship known as Pacific Collector acted as a telemetry and range safety representative. The pacific collector monitored the health of the missile throughout the launch until its termination. According to Ris there were also two control rooms in other parts of the world monitoring the test. The MDA will use test results to improve and enhance Aegis Ballistic Missile Defense, which is the naval component of the Missile Defense Agency’s Ballistic Missile Defense System.